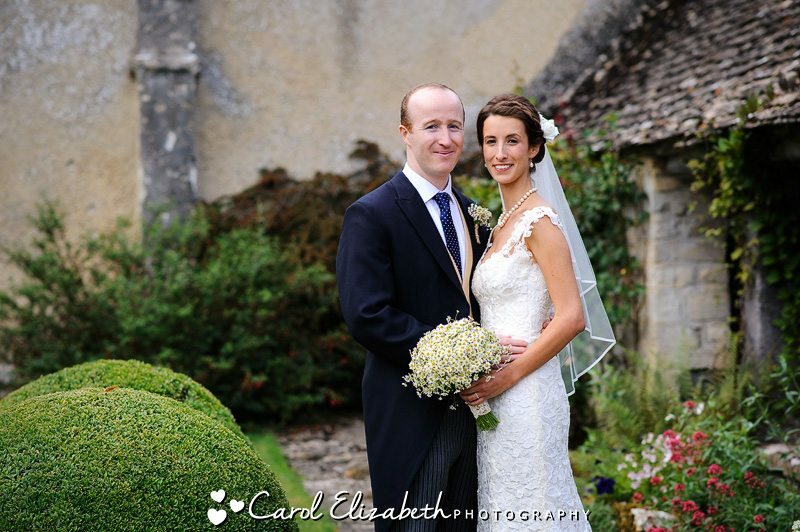 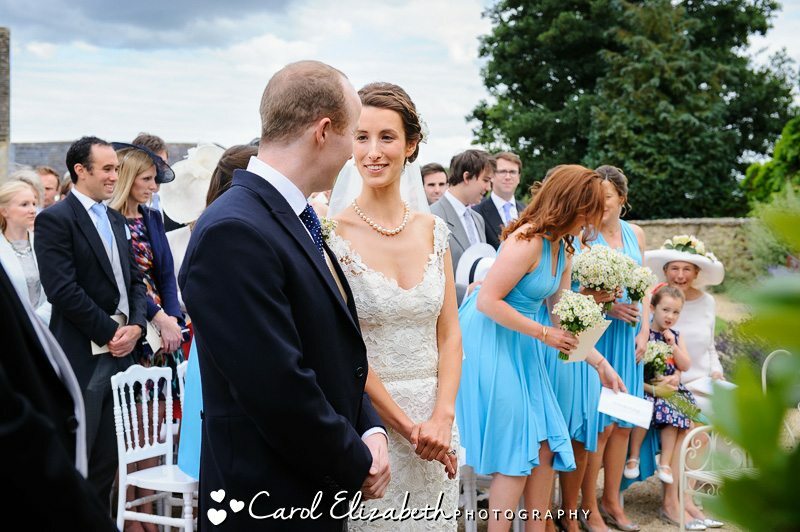 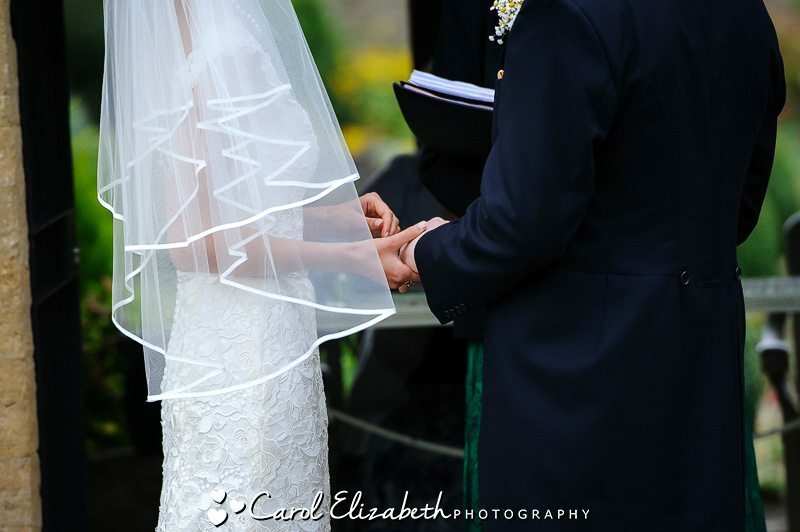 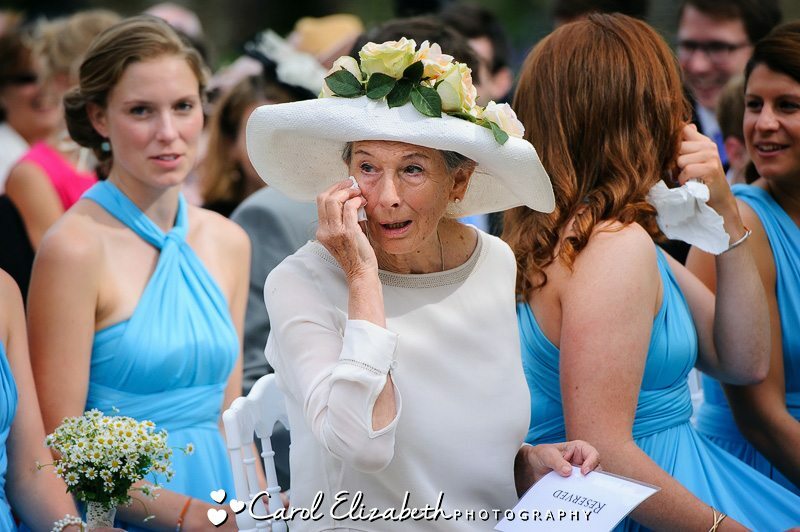 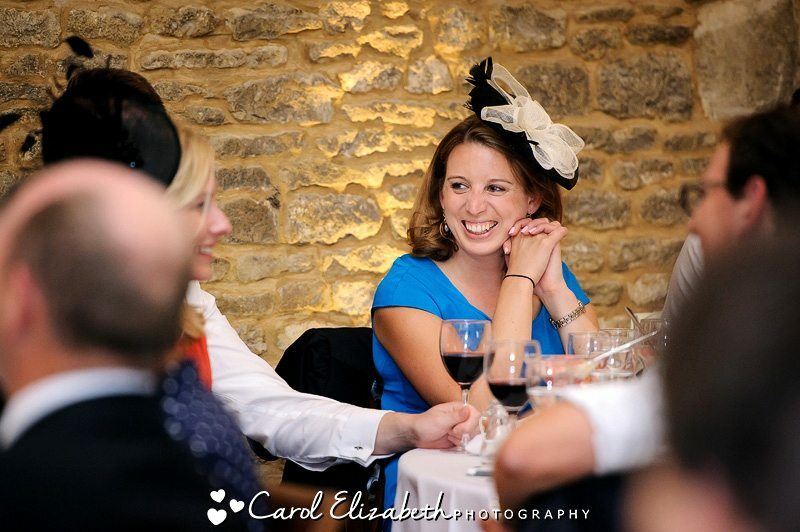 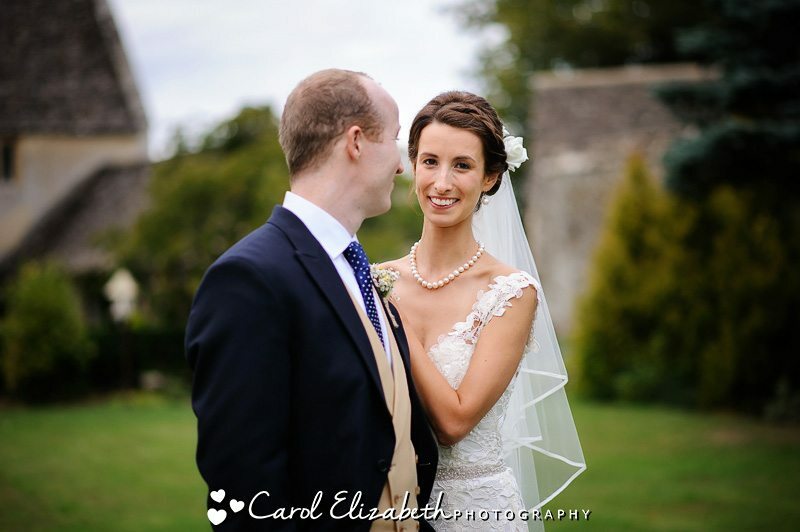 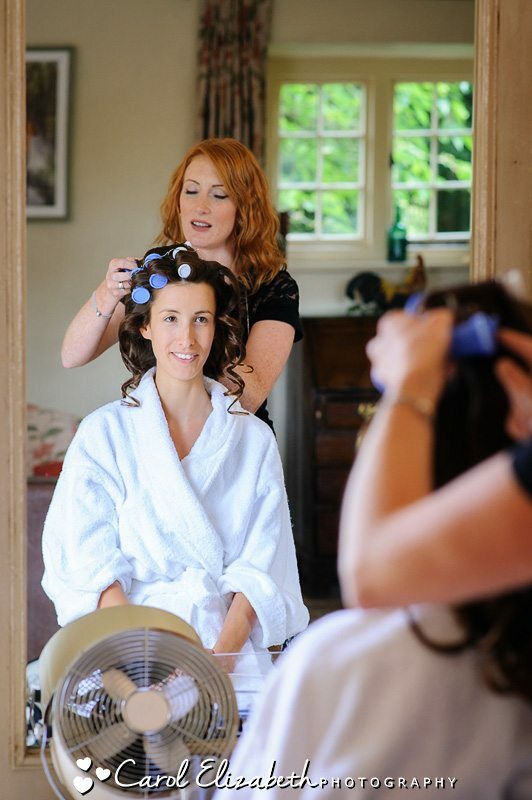 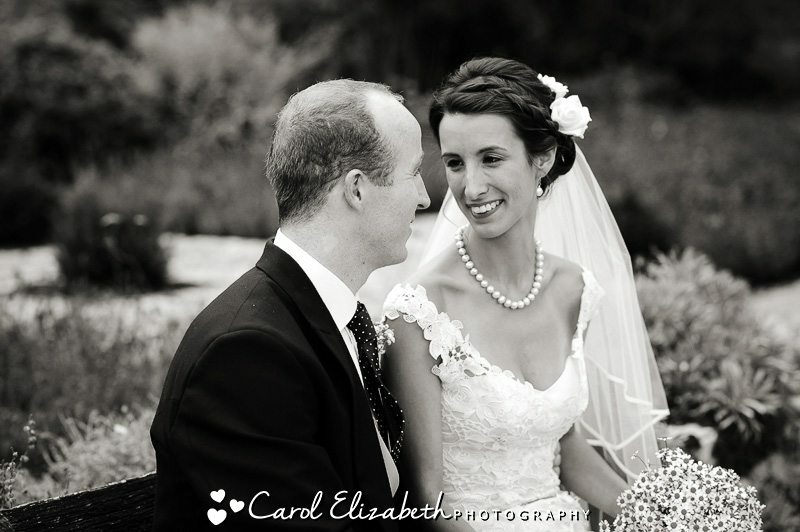 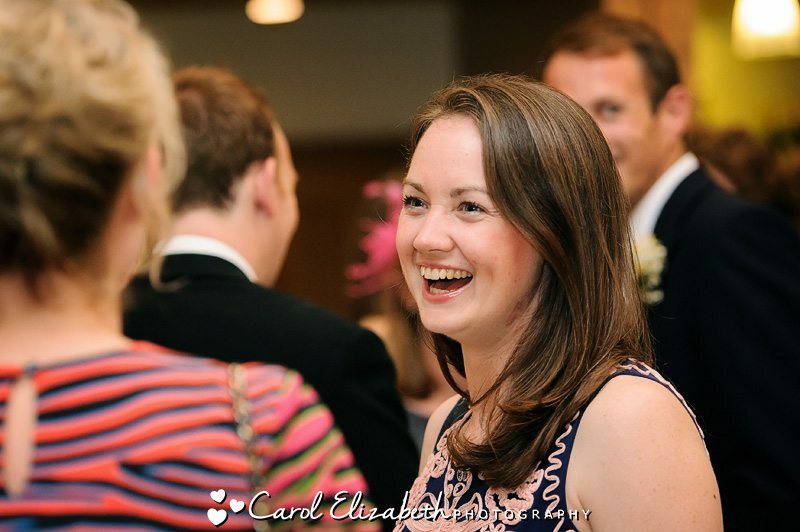 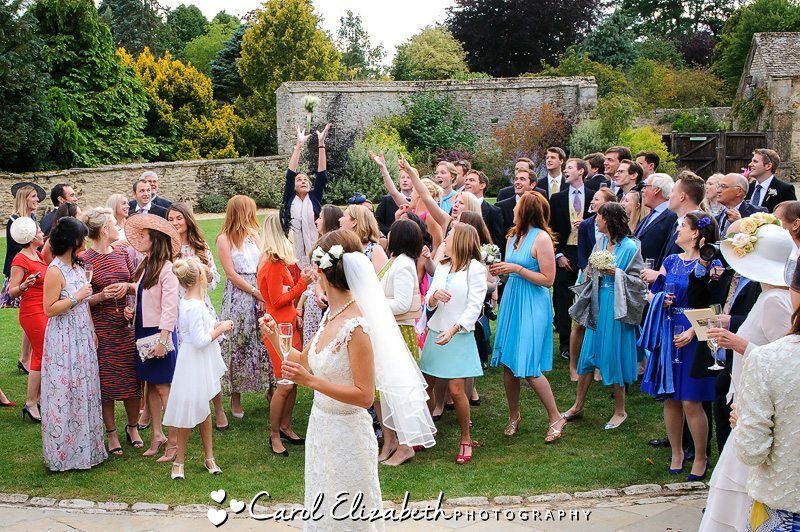 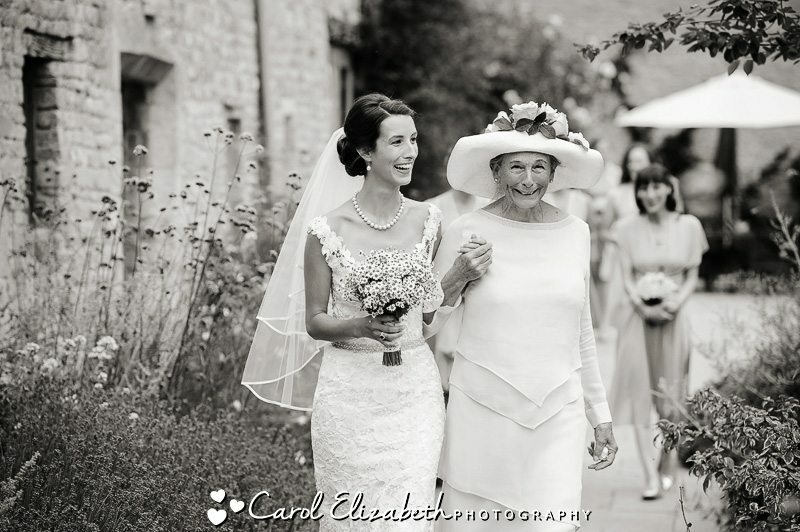 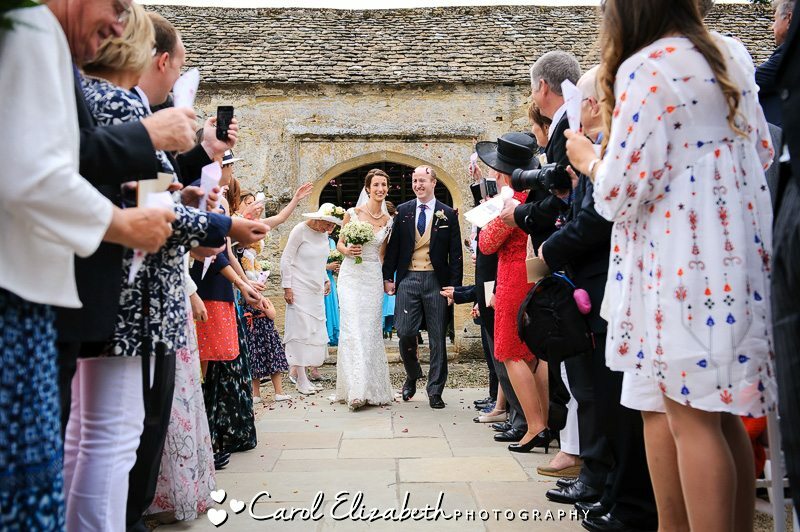 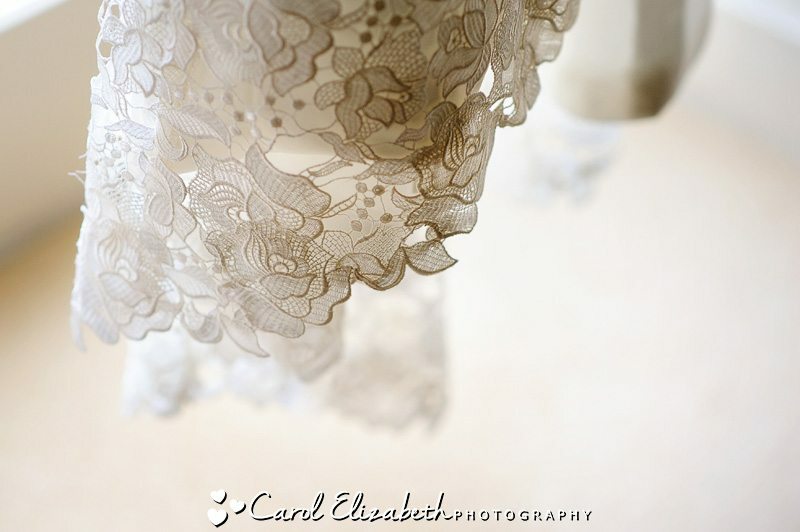 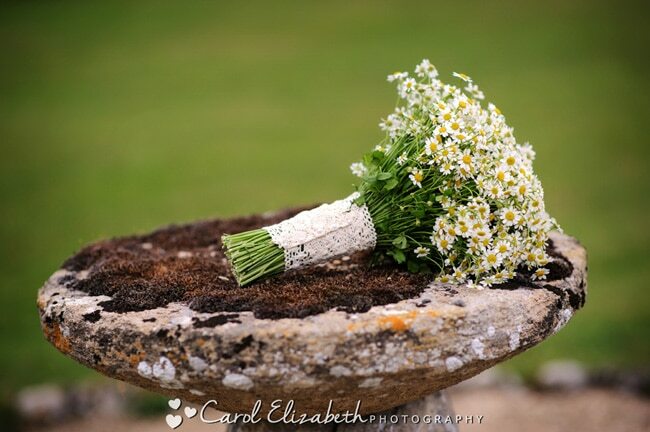 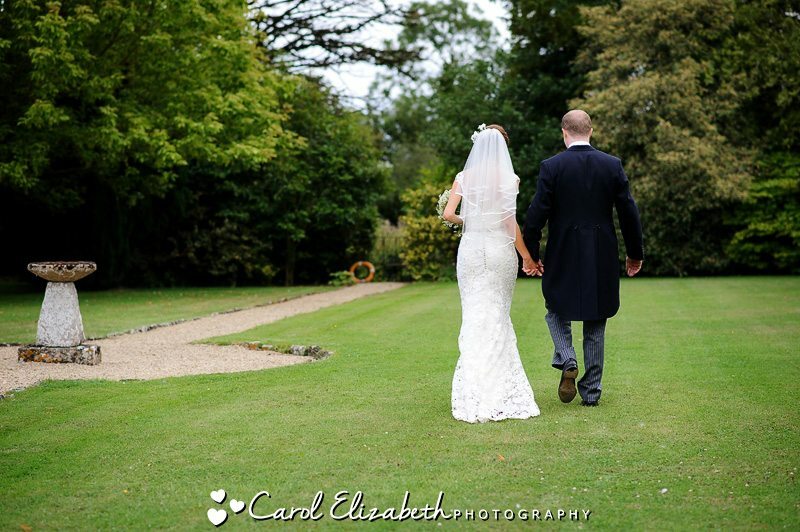 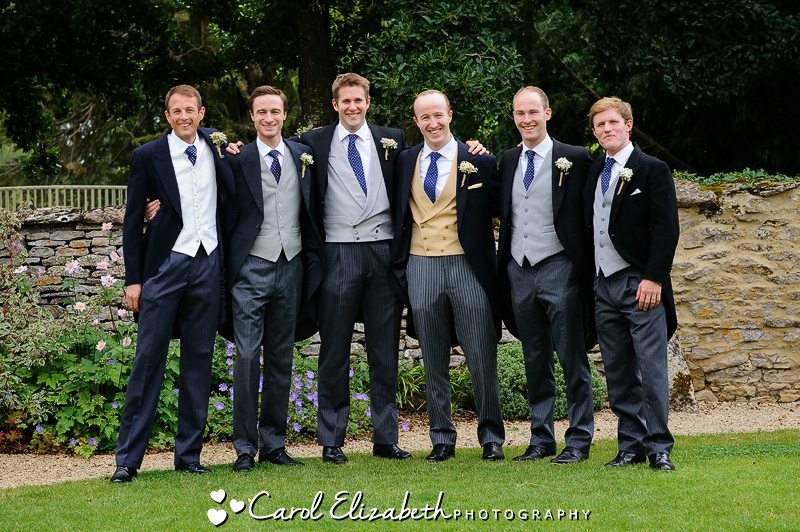 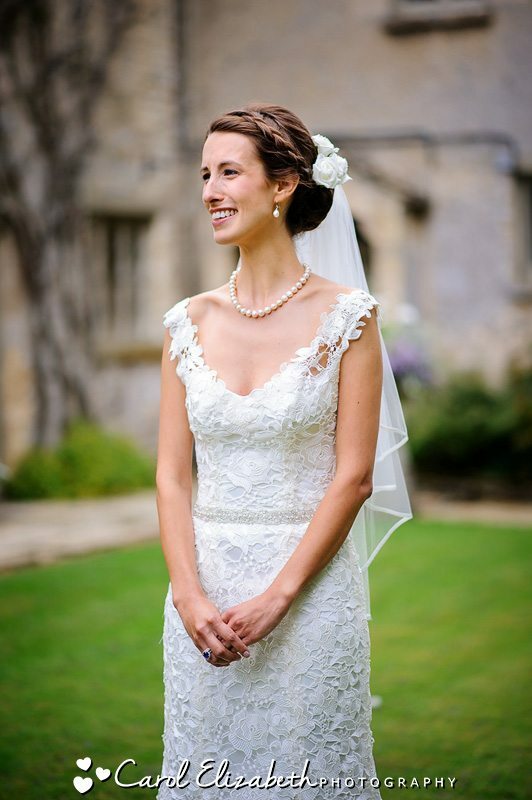 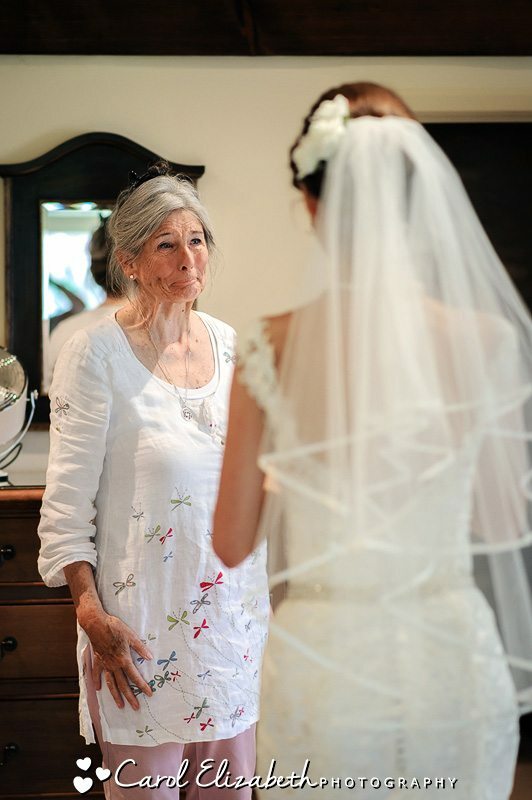 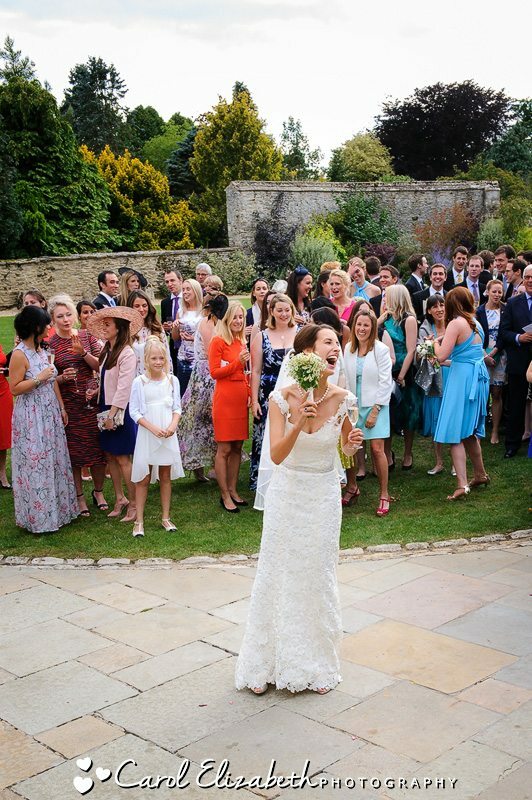 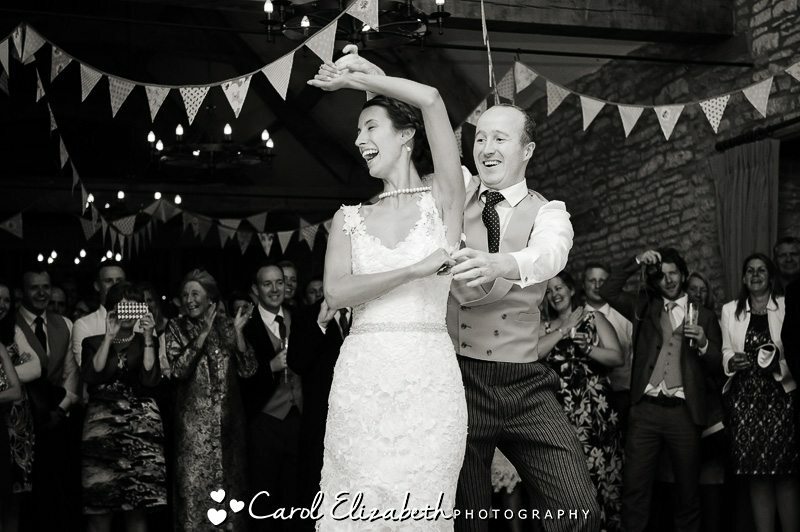 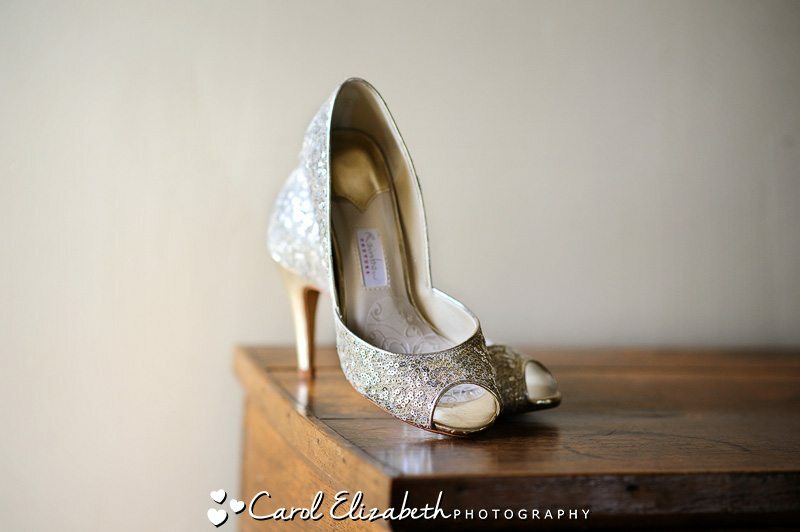 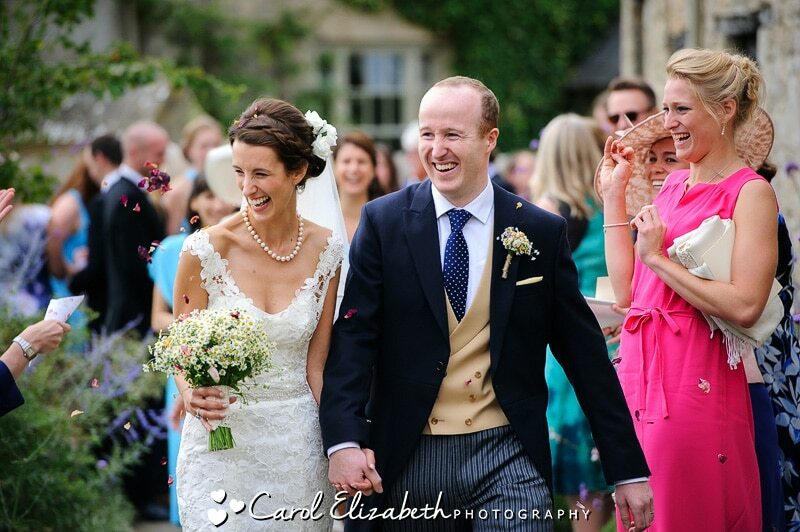 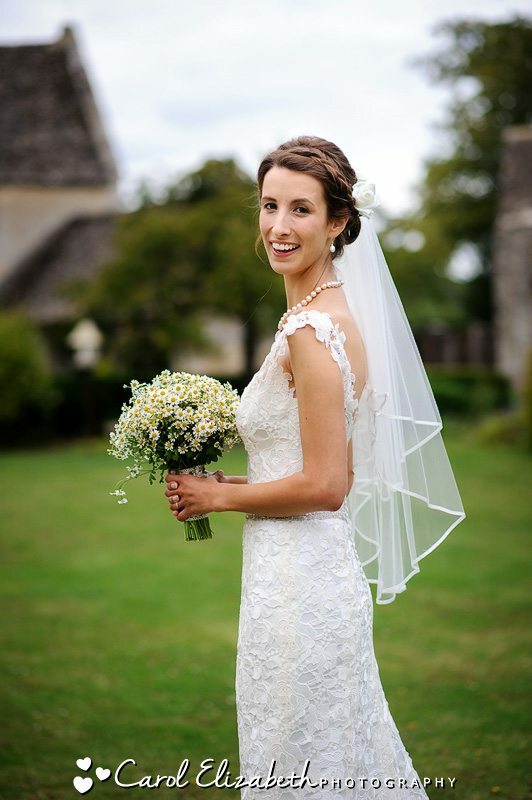 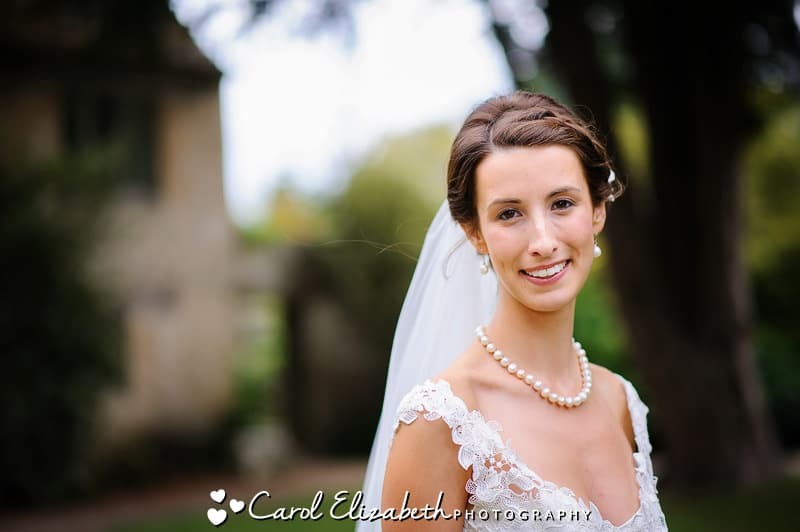 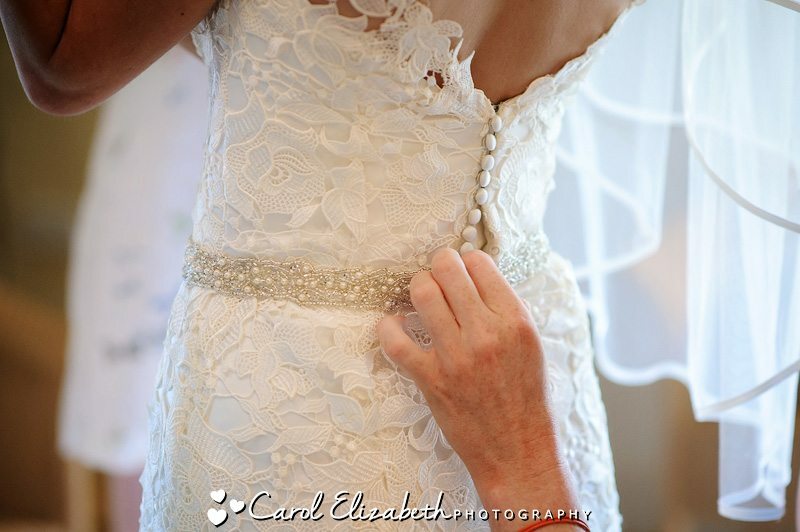 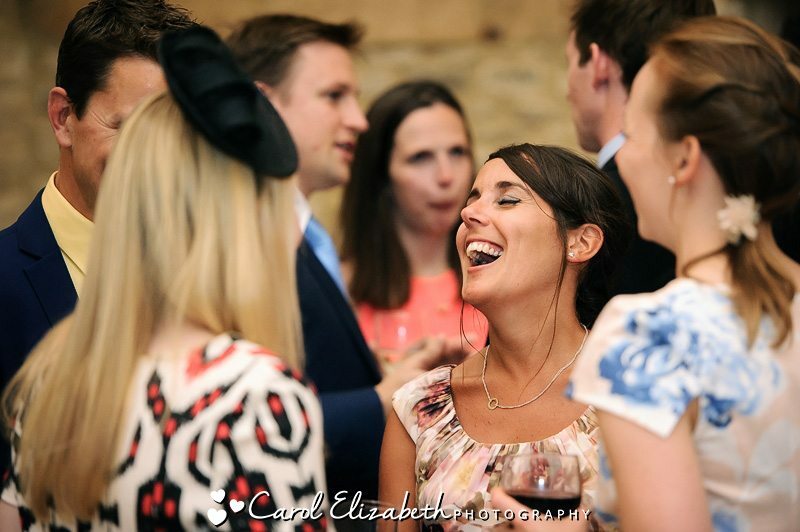 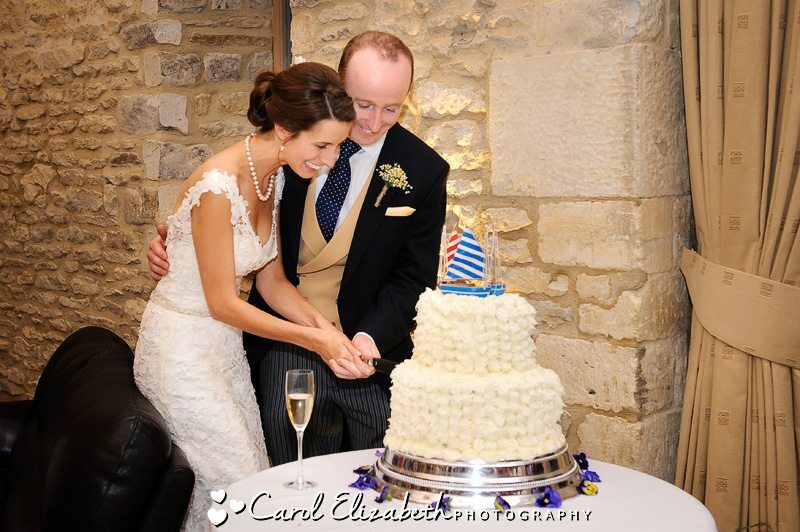 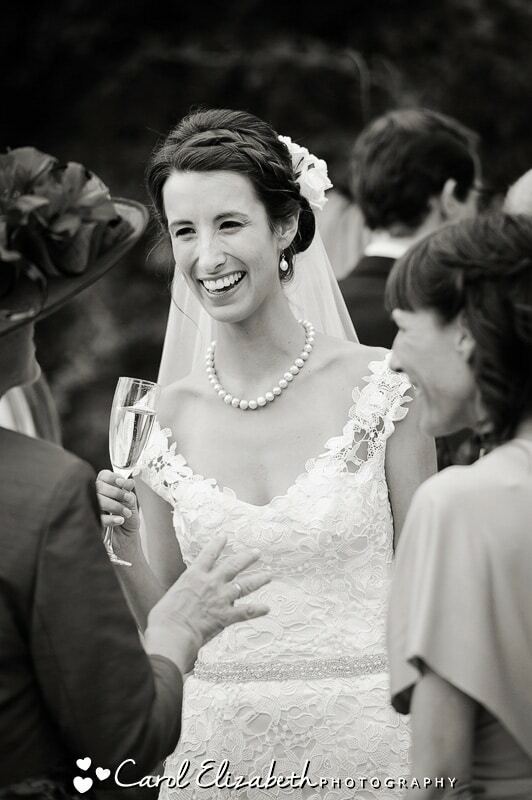 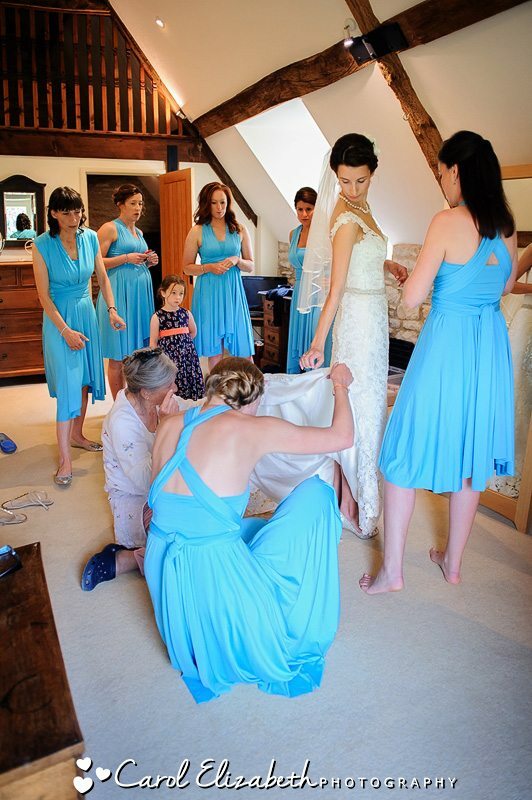 Maddy and Chris’s wedding was featured on The English Wedding Blog! 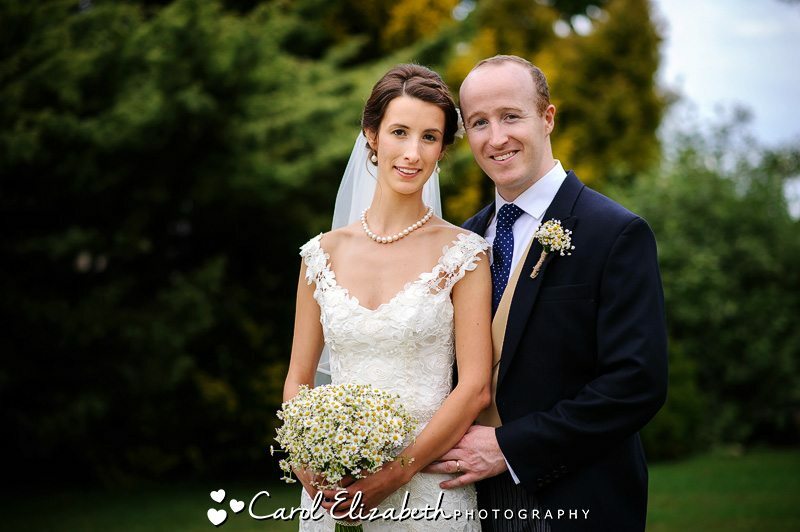 I’ve been looking forward to posting some of Maddy and Chris’s Caswell House wedding photos from their beautiful summer wedding. 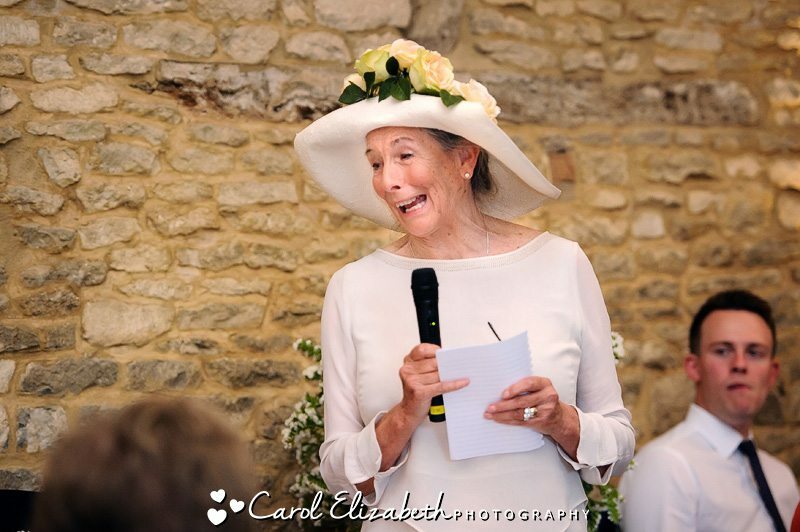 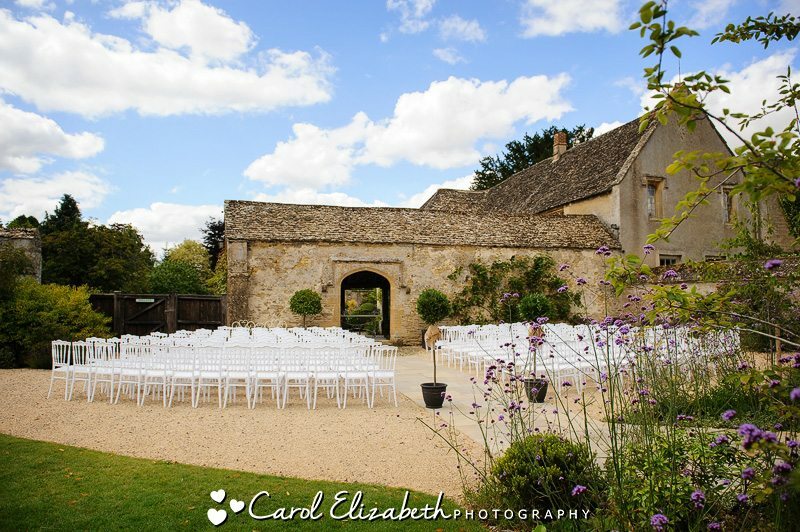 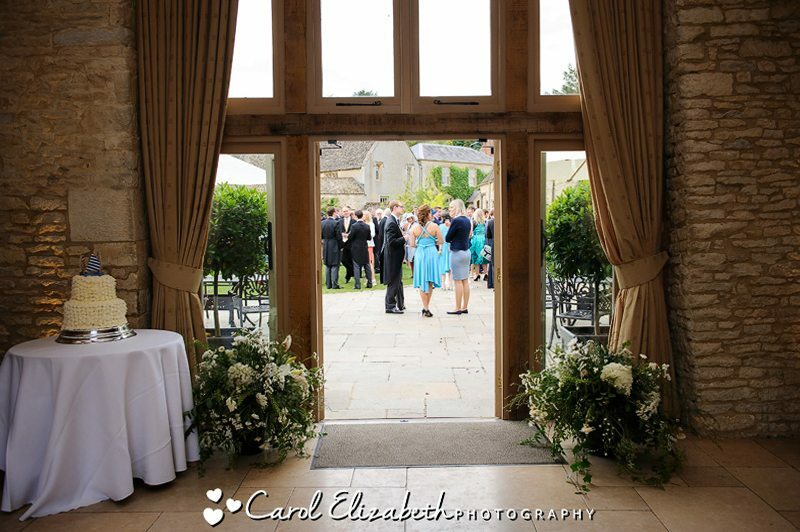 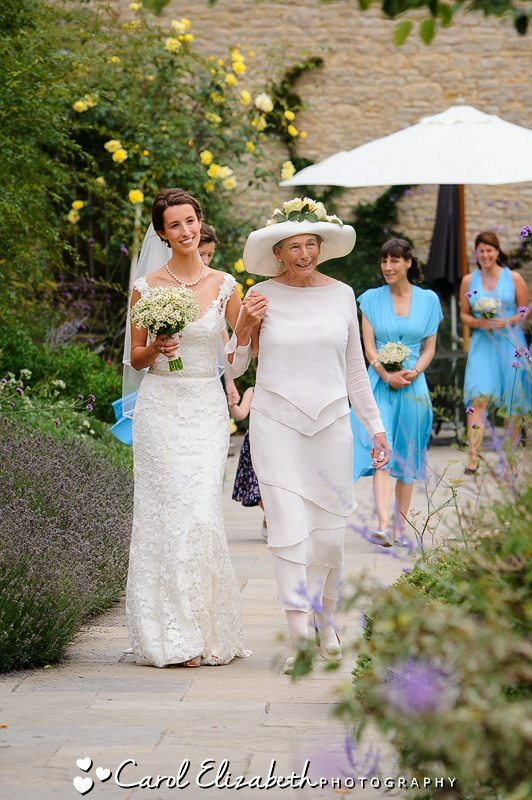 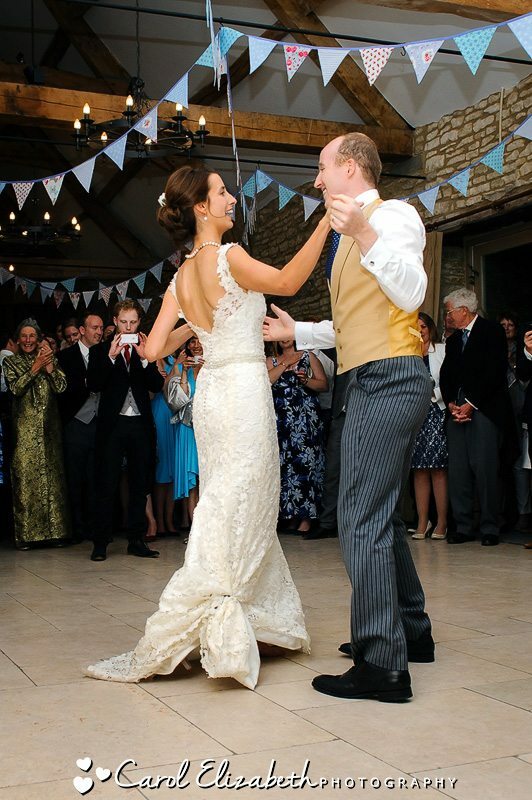 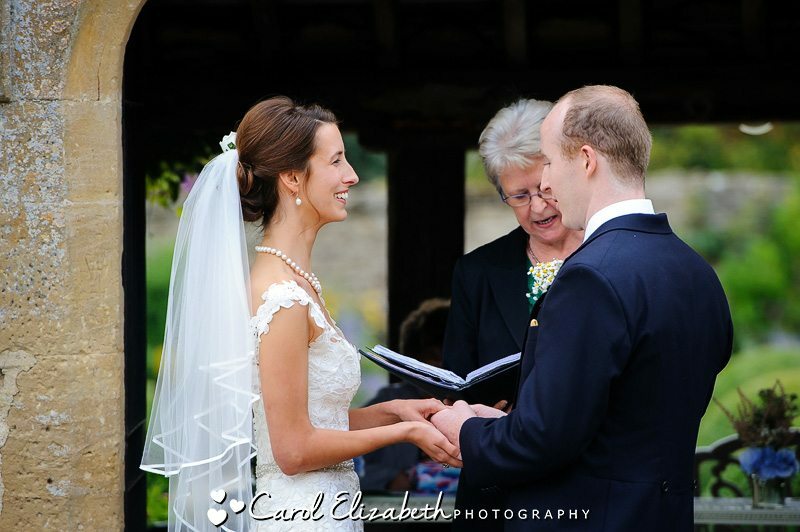 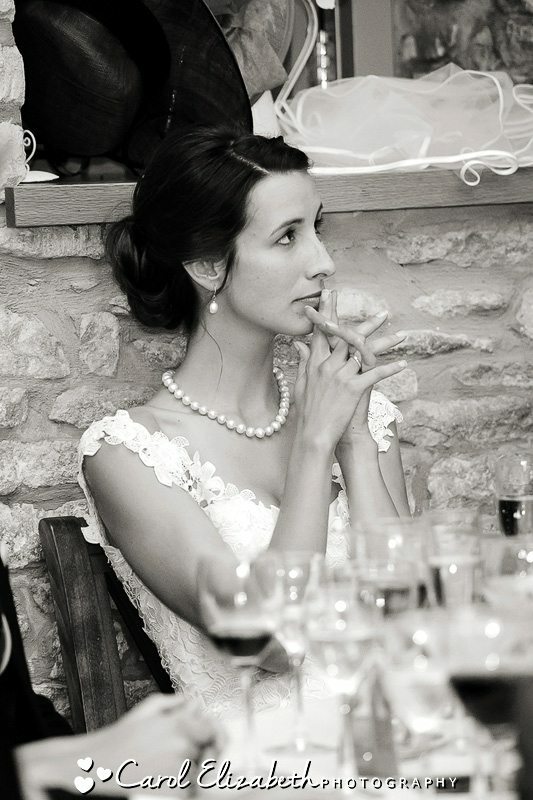 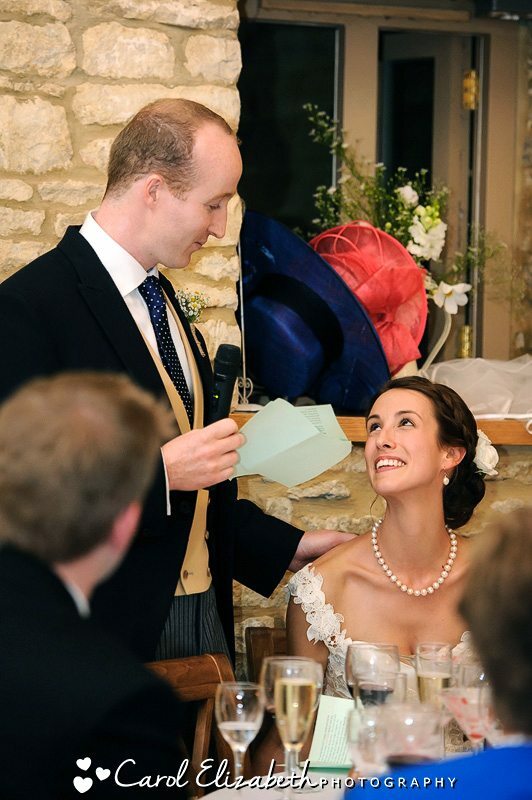 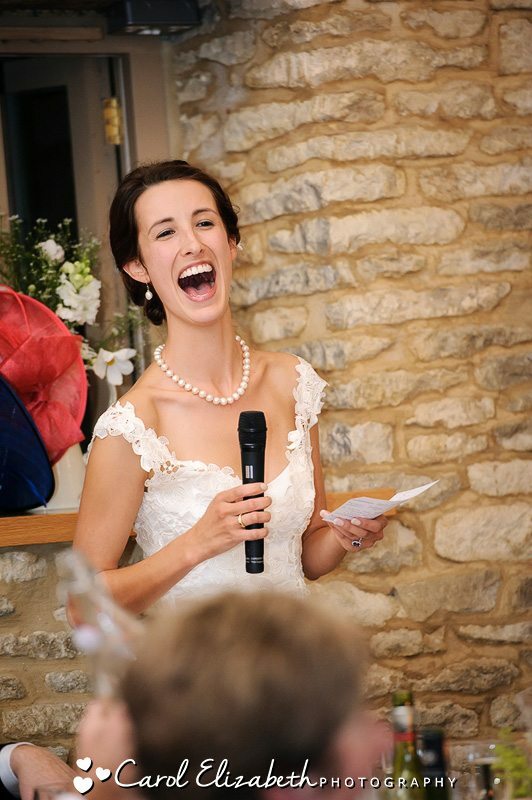 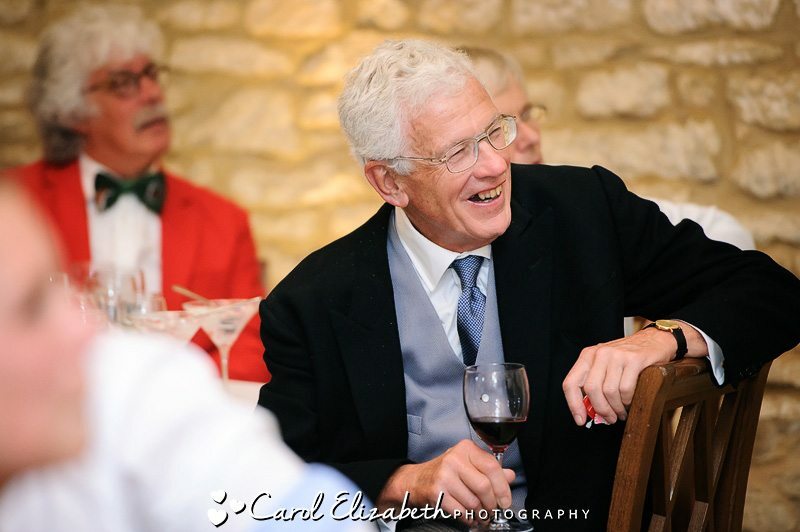 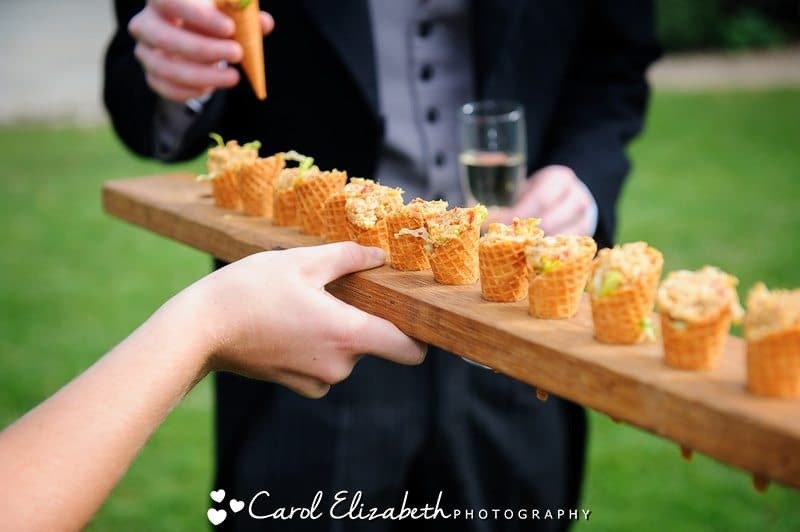 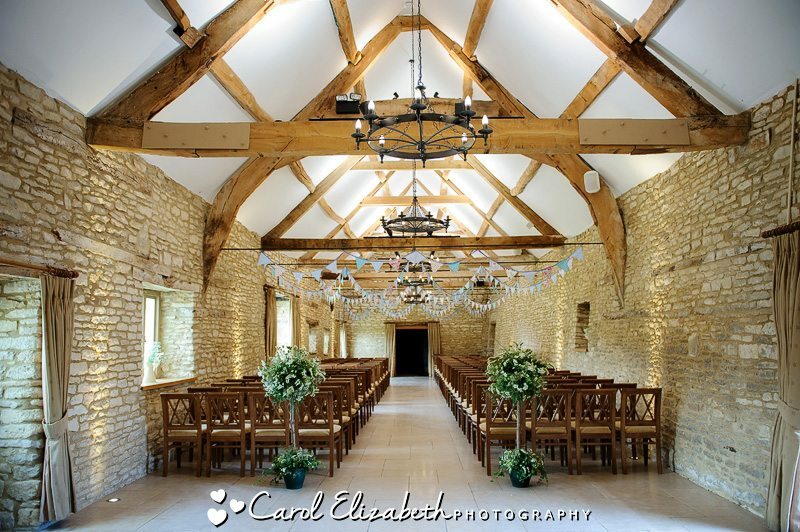 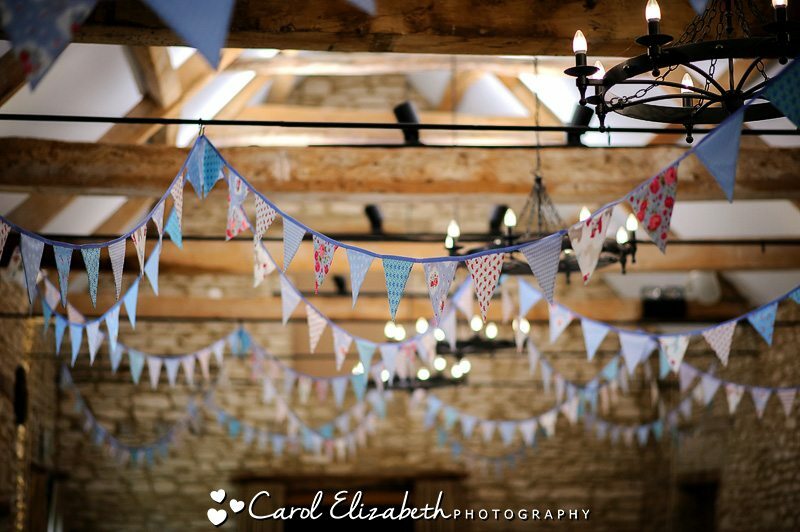 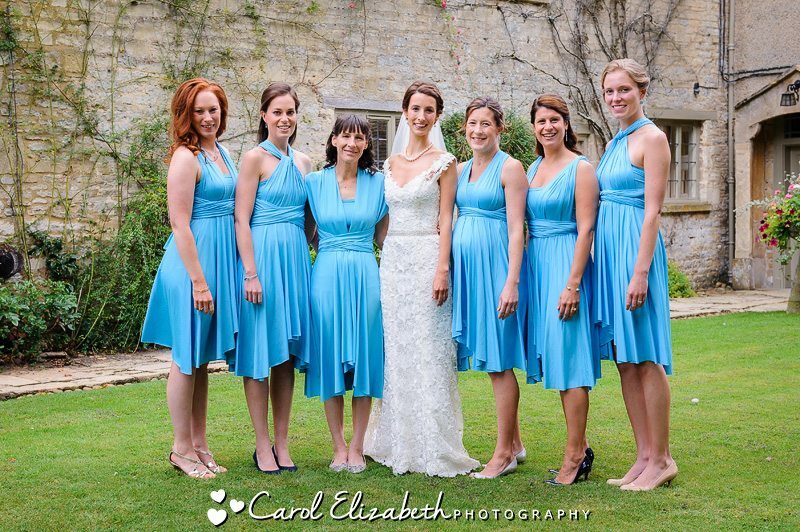 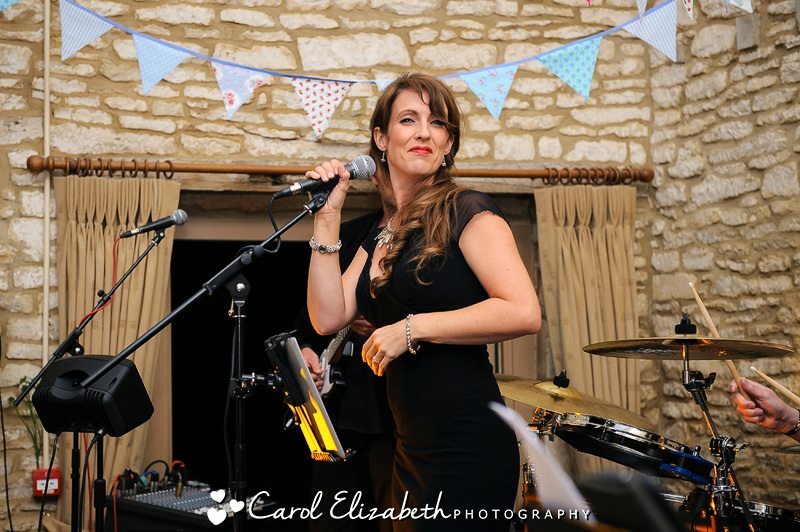 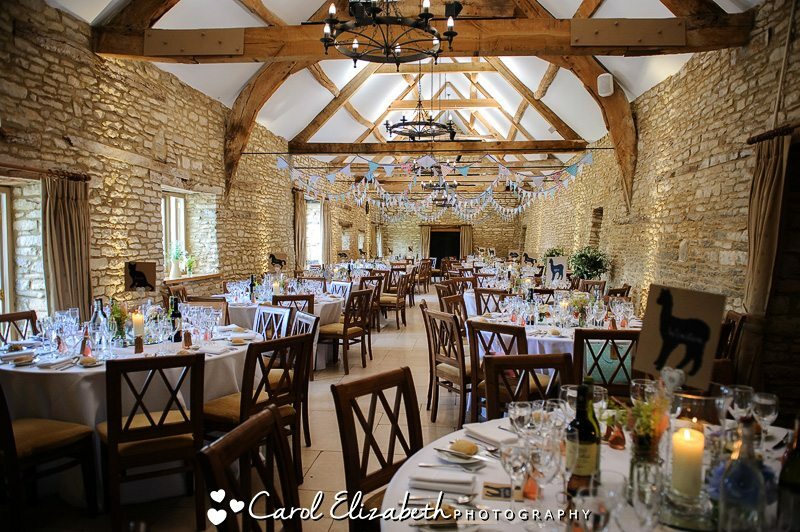 This is a fabulous location for a barn wedding in Oxfordshire, with so much potential for stunning images of your day. 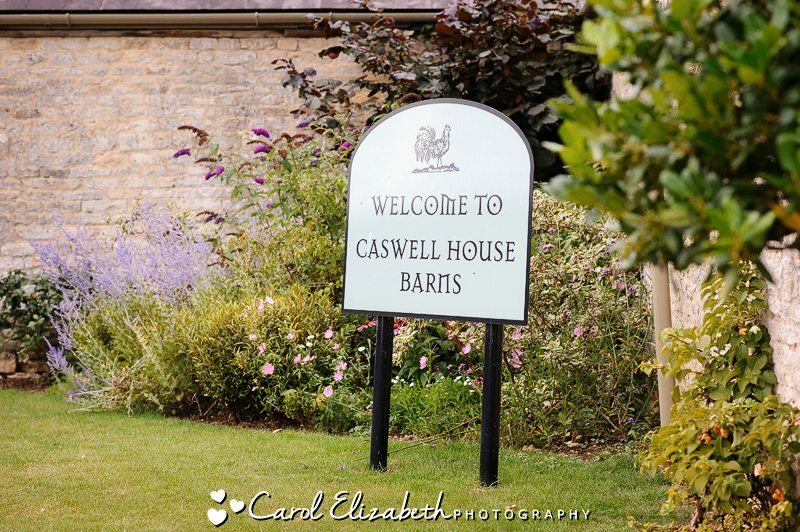 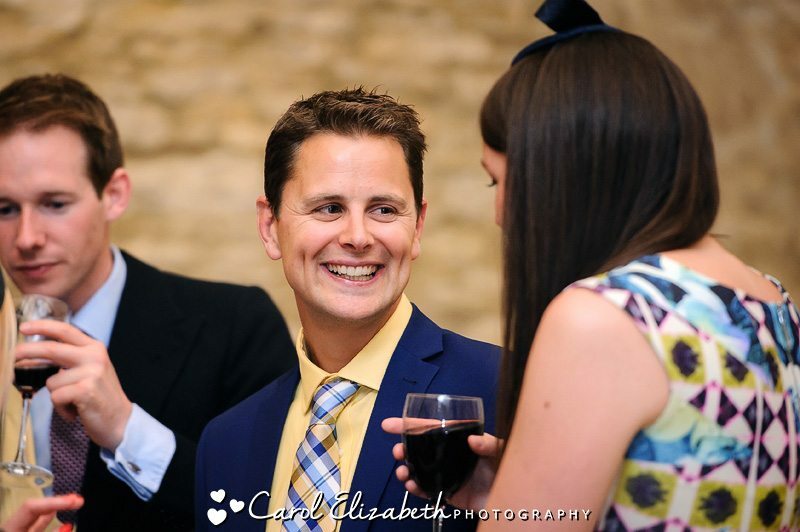 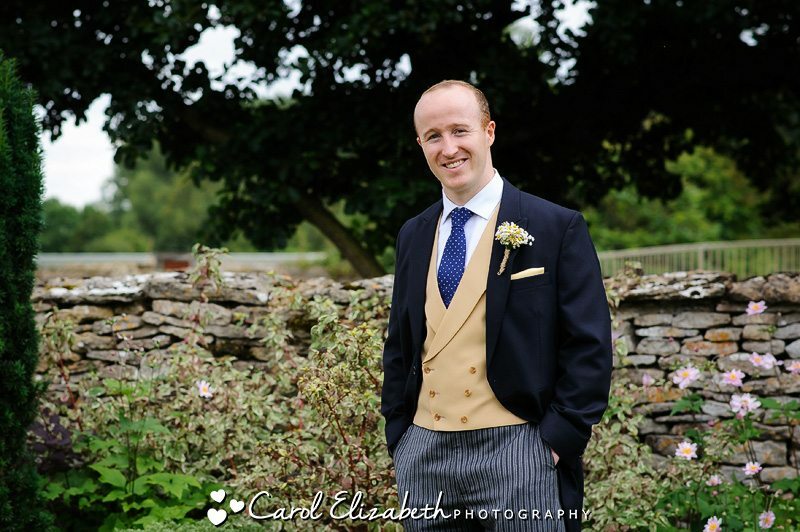 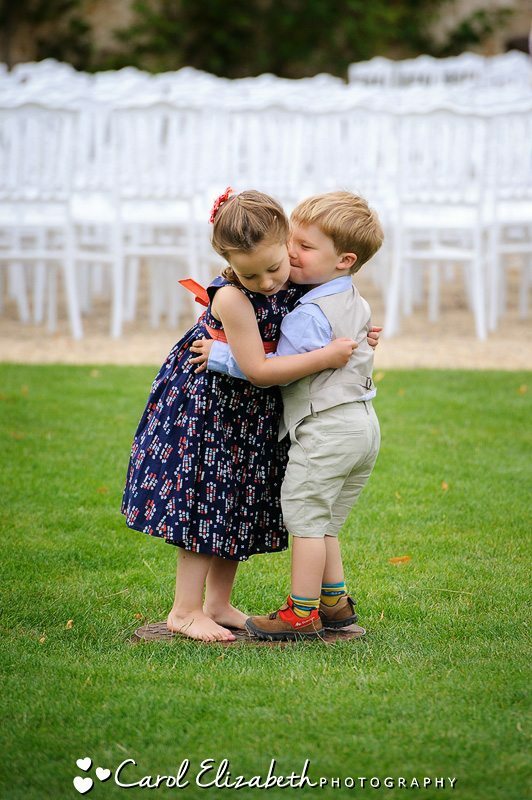 As a Caswell House wedding photographer I’m very familiar with all the best places to take your portrait photographs during the day, allowing you plenty of time to spend with your guests and enjoy your day! 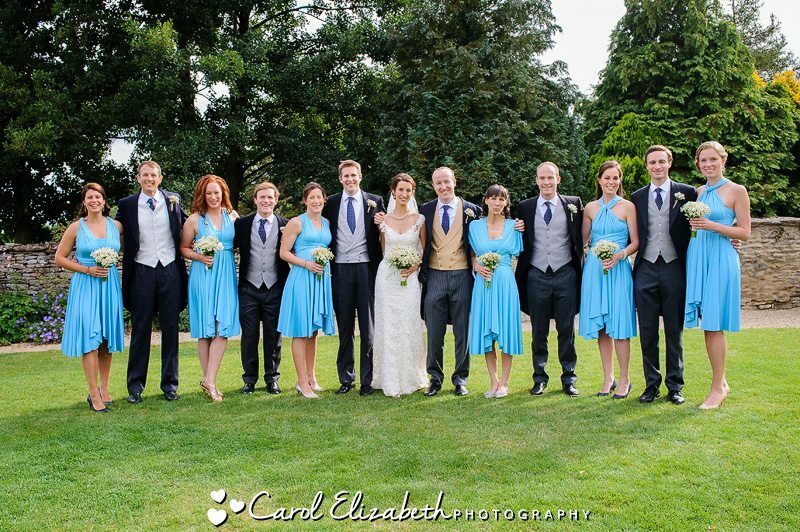 I met Maddy and Chris a few months before the wedding and we had a great time taking some informal pre-wedding photographs as well as running through the details of the day. 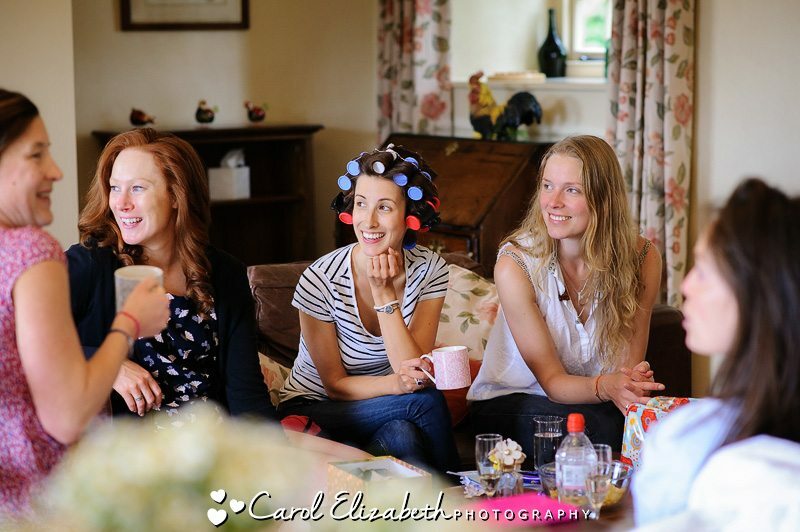 I met Maddy and her bridesmaids having a sip of Champagne whilst getting ready in the Barn. 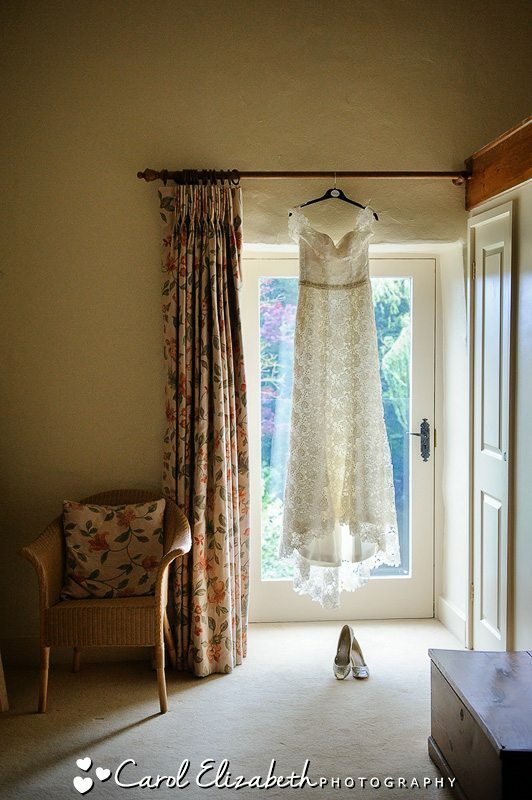 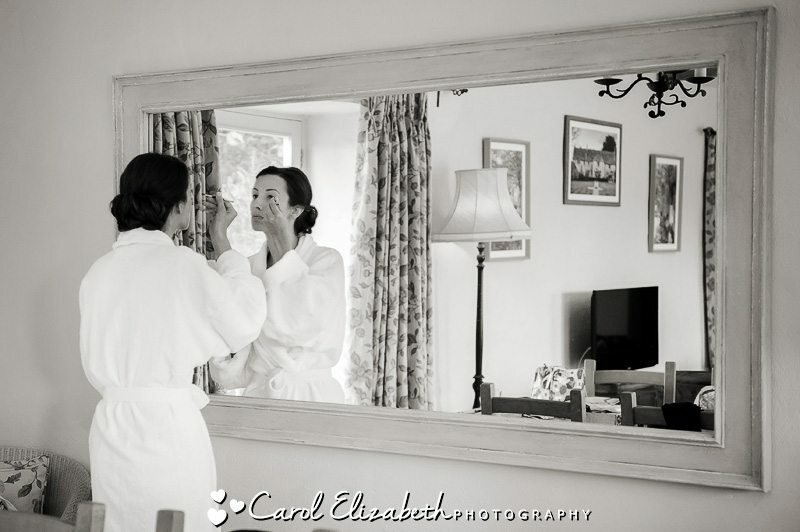 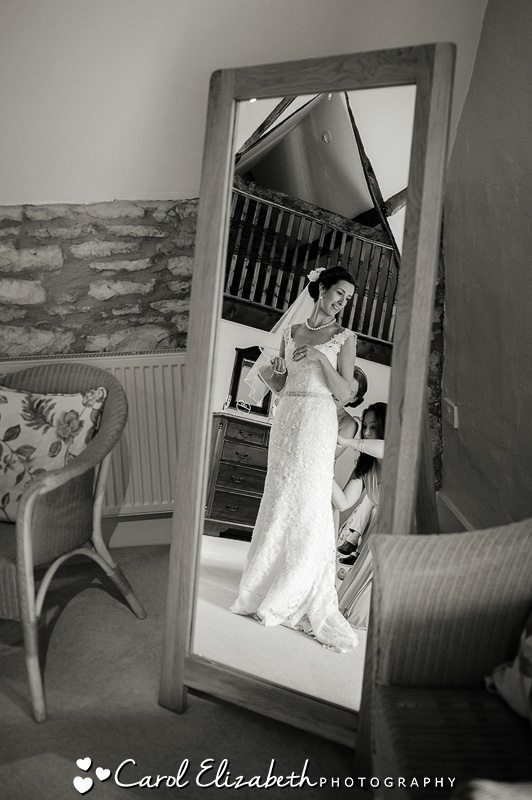 The layout of Caswell House is really ideal for weddings as there’s plenty of places for different parts of the day and all the rooms are so beautifully decorated. 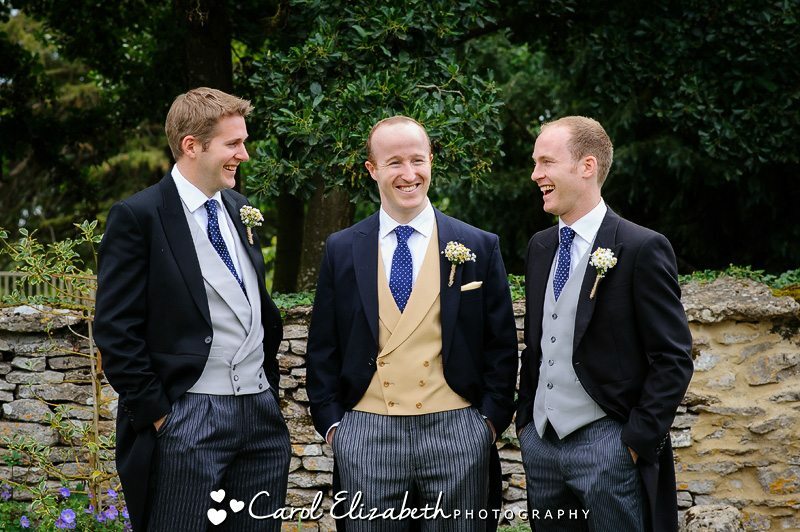 Chris and his ushers were making some final preparations so we took a walk around the grounds for a few photos before I went back to Maddy for the last few minutes before everyone walked over to the ceremony. 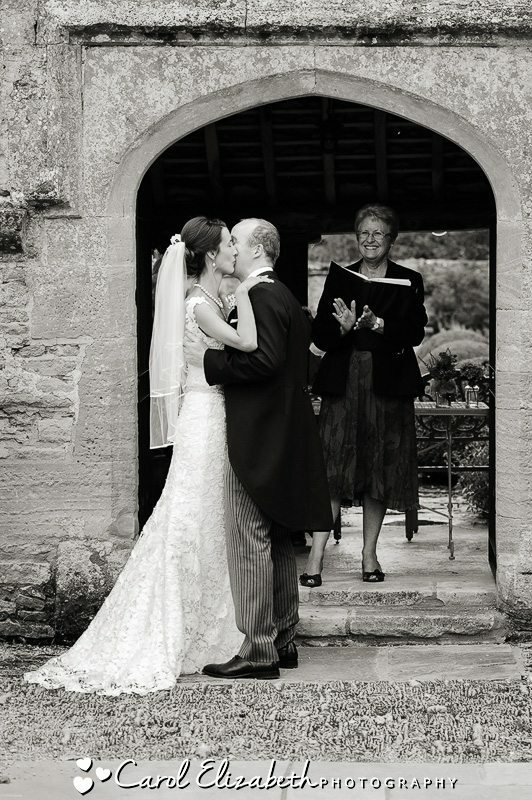 The ceremony was wonderful – fun and romantic! 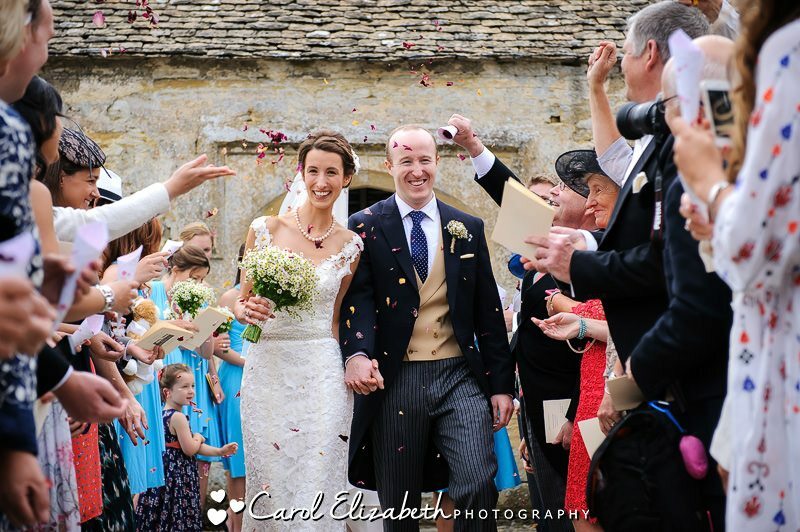 As Maddy and Chris left the ceremony they were showered with rose petal confetti, it was so much fun and all the guests were involved. 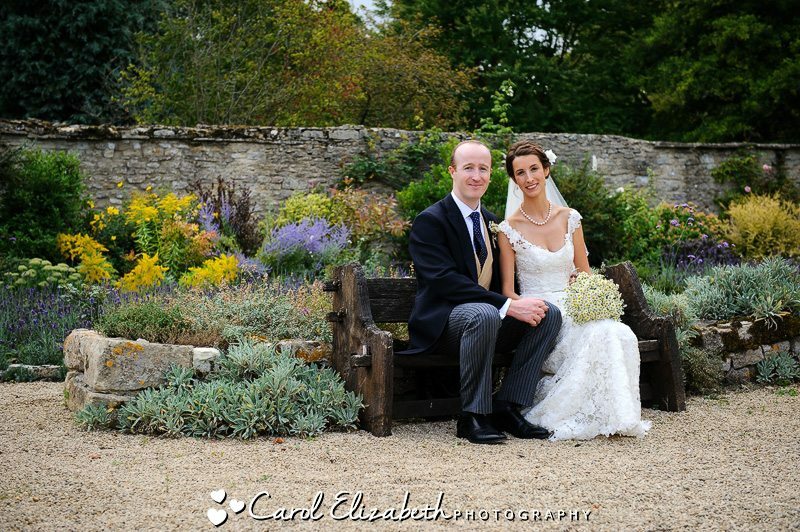 We then took a few group photos on the lawn before we went for a walk in the grounds. 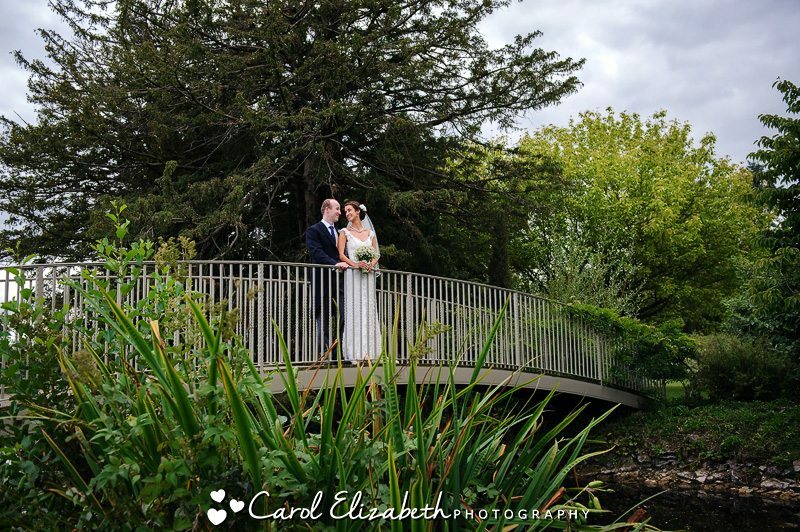 Caswell House weddings really do offer something very special in the beautiful tended gardens, and the bridge is such a lovely spot for a few portraits.